Pakistan is an agricultural country and 70% of its population is directly or indirectly dependent on agriculture. The most important crops are wheat, sugarcane, cotton, and rice. Pakistan is one of the world’s largest producers and suppliers of Chickpea (3rd), Apricot (6th), Cotton (4th), Milk (5th), Date Palm (5th), Sugarcane (5th), Onion (7th), Kinnow & mandarin oranges (6th), Mango (4th), Wheat (7th), and Rice (4th). The best part about an agricultural solar installation is you don’t have to get up in the morning to milk the sun! You just make more money when the sun shines. We at CTI equally understand your needs and offer commercially viable solutions with after sales support for your Agriculture requirement. We always abide by HSE (Health, Safety & Environment) standards while deploying any Solar system. 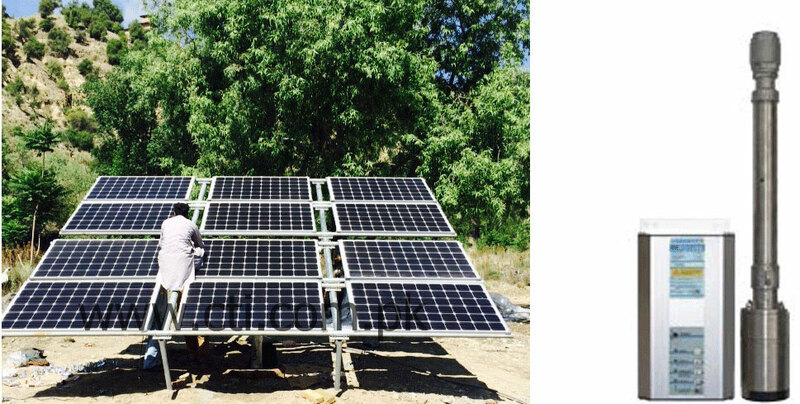 Wherever there is no power supply in rural areas , solar water pump systems ensure of a reliable water supply. Since these systems work literally maintenance-free and self-operational, they can be used for installations in remote areas for water pumping and irrigation. Team CTI has the ability to Design, Install & Maintain Solar PV systems.